Leonardo Nam is one actor who would steal every scene of every movie or TV show he is involved in. The Australian Argentine actor has shown up in an impressive number of TV shows and movies and his contribution to the success of every scene cannot be overemphasized. Nam made his breakthrough after his role as Roy in the popular teen comedy film, The Perfect Score and thanks to his hard work and dedication to his acting career, he has had one of the series he appeared in, Westworld, nominated for an Emmy Award in 2018. Leonardo Nam, who is of Korean heritage, was born in Buenos Aires, Argentina, in November 1979. His Korean parents migrated to Bueno Aires before later moving to Sydney, Australia when he was six years old. He attended Sydney Technical High School before he was admitted at the University of New South Wales to study architecture. The actor has two siblings; a sister who is a teacher and a brother who is a UK-based choreographer. As a young boy, Nam developed a strong passion for acting. While in high school, he would join his class stage performance and would act a “King Lear” monologue for a public speaking class and following his near-perfect theatrical performance, he was encouraged by his class teacher to take up acting as a career. To achieve his dream of becoming an actor, Nam chose to relocate to New York where he believed he would have a better chance to explore his talent. 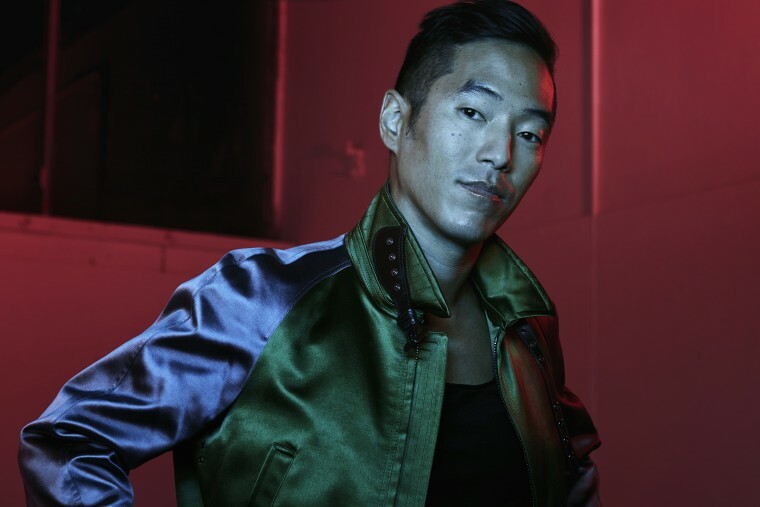 Leonardo Nam moved to New York at the age of 19 and prior to finding his place in the entertainment industry, he got engaged in some menial jobs, working in a bar at the Meatpacking District of New York City, just to make ends meet. While doing this, he acquired acting training from the famed HB studios which has produced great actors and actresses like Al Pacino and Whoopi Goldberg among others. Leonardo Nam received his very first acting role in 2001, in a film titled Educated which was directed by Georgia Lee. He further received minor roles in films like Target Practice, where he acted as Sax; Meridian, Homework, Hacks, and Nobody’s Perfect, all produced in 2002. 2004 appeared to be one of Nam’s most memorable years following the huge success he attained in his career. The rising star made his breakthrough in 2004 when he portrayed the character Roy in the comedy-heist film, The Perfect Score. He shared the screen with notable actors like Bryan Greenberg, Scarlett Johansson, Erika Christensen, and Chris Evans Kyle. Nam’s role in Bryan Robbin’s Perfect Score did not only fetch him a quality financial balance, but it also played a role in his fast rise to fame in the movie industry. This is evident in the number of critical roles he received afterward. These films and TV shows include The Sisterhood of the Traveling Pants (1&2), The Fast and the Furious: Tokyo Drift, Crossing Over, He’s Just Not That into You, and even the TV series, Westworld. His latest screen appearance as of 2019, is in the superhero horror drama series, Swam Things. The 5 feet 10 inches tall actor is very secretive about issues that concerns his personal life. However, he is fond of posting pictures of himself carrying twin babies which are widely assumed to be his. The actor also appears to be well informed when it comes to matters of the heart. In one of his tweets, he revealed his plans of starting a podcast where he would dish out some dating advice and answer questions related to the topic. Despite his multiple posts with babies, which often suggests that he is married, the actor is apparently single as he has neither admitted or spoken of anyone as his wife. It is alos not clear if he has a girlfriend. Success sometimes comes with trial periods and only those determined to make it to the end will end up successful. Leonardo Nam had his own bit of hard times when as a teenager he moved to New York in search for greener pastures. Knowing no one in the large city, Nam recalls spending his first few nights in Central Park before he got a hostel near Madison Square. Today, following his rise to fame, the actor is living comfortably in an apartment of his own. It was in fact after Perfect Score premiered that he moved to Los Angeles and there he received scores of film roles. Leonardo Nam is well represented in various social media platforms. He is quite active on Instagram and Twitter. His Instagram account has over 39.8k followers while his Twitter account has 4.1k fans. Like many non-whites, Nam has had his fair share of racism as an actor. The actor speaks of being often offered a Chinese role even though he is Korean but he never allows it to affect him in any way. The actor even made headlines in 2000 when his role as Brian McBrian in The Sisterhood of Traveling Pants series was largely slammed by fans of the novel from which the film was adapted. The series producers were queried for letting Nam take a non-Asian role.